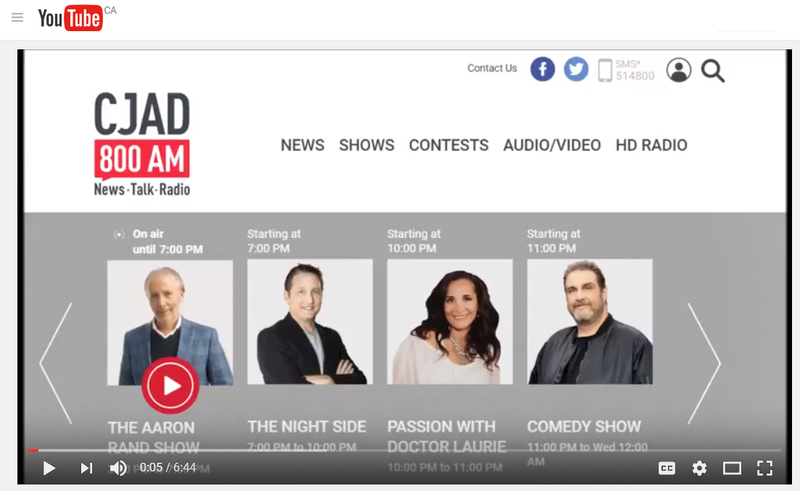 Yesterday I did a radio interview with Aaron Rand of Montreal news/talk station CJAD 800. We discussed my most recent column, which ran in the Montreal Gazette and other major Postmedia papers as well as the Financial Post. My column was an analysis of EntitleMania, a new book by California attorney Richard Watts, who's a financial advisor to many affluent business leaders and their families. The book is a warning to successful partners not to give to much to their kids - lest you steal away their ambition and self-reliance, or "cage" them in a lifestyle that they don't want and can't afford. It's a fascinating book, and Aaron picked up on all of the cool points in my story: how Mr. Watts learned from nearly spoiling his third son; how entrepreneurs are some of the worst offenders in terms of spoiling their children; and how your kids' whole futures may be at risk. Click here to watch the six-minute video on YouTube. (Ignore Mr. Rand's identity confusion at the start. It was embarrassing enough for the both of us.). Or you can read my column here. It's more fun than spoiling your children!